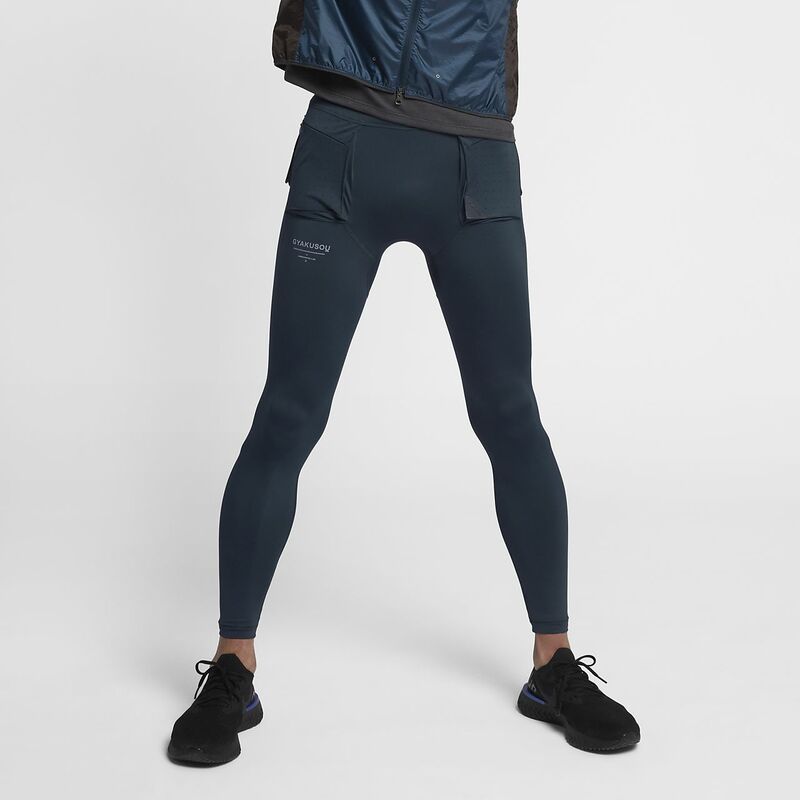 The Nike Gyakusou Men's Utility Tights keep you covered and focused on your run. Inspired by Japanese designer Jun Takahashi, the tights feature high-stretch, sweat-wicking fabric to help keep you cool and dry. The Nike Gyakusou Men&apos;s Utility Tights keep you covered and focused on your run. Inspired by Japanese designer Jun Takahashi, the tights feature high-stretch, sweat-wicking fabric to help keep you cool and dry. Designer and Undercover founder Jun Takahashi blends his classic aesthetic and running expertise in the Nike Gyakusou Collection. This enduring collaboration helps runners reach zen-like focus by diminishing distraction and reducing the severity of warm-weather runs. Tonally muted performance silhouettes offer lightweight packability, clean graphics and Nike fabric technology to create a futuristic kit for the running monk. Have your say. Be the first to review the NIKE GYAKUSOU.